by Alexander Weygers. Softbound, 300 pages, 8" x 11". 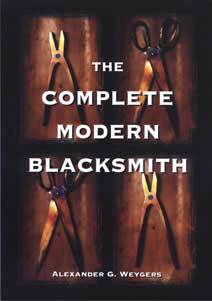 Teach yourself the lost art of blacksmithing and tool design & repair. This volume includes three Weygers titles under one cover - The Making of Tools, The Modern Blacksmith, and The Recycling, Use & Repair of Tools. An unusual and unique resource, valuable to the hobby blacksmith, craftsman, gunmaker, knife maker, etc.